DEVON, Pa., Jan. 06, 2016 (GLOBE NEWSWIRE) — Zynerba Pharmaceuticals, Inc. (NASDAQ: ZYNE), a specialty pharmaceutical company dedicated to the development of innovative transdermal synthetic cannabinoid treatments, today announced positive initial safety results from its Phase 1 single rising dose clinical trial of its ZYN002 cannabidiol (CBD) gel in development for the treatment of epilepsy, osteoarthritis and Fragile X Syndrome. The Phase 1 study was a randomized, double-blind, placebo-controlled, clinical trial to assess the safety and pharmacokinetics of ZYN002 in 32 healthy volunteers and 12 patients with epilepsy. Initial results from the 32 healthy volunteers demonstrated that ZYN002 was safe and well tolerated at all four dose levels. There were no serious adverse events, no drug-related changes in ECGs or clinical laboratory values, and there were no discontinuations due to adverse events. Overall, the incidence of adverse events associated with ZYN002 was similar to placebo. In addition, ZYN002 demonstrated no impairment in the trail making test, a neuropsychological test of visual attention and task switching, which detects several cognitive impairments. Final results, including results from patients with epilepsy, are expected in the first half of 2016. The Company also announced the initiation of a second Phase 1 clinical trial for ZYN002. The randomized, double-blind, placebo controlled trial, titled the “Multiple Rising Dose Study in Healthy Volunteers and Patients with Epilepsy,” will evaluate the pharmacokinetic profile and tolerability of ZYN002 in 16 healthy volunteers, followed by 12 patients with epilepsy. Results are expected in the first half of 2016. Zynerba’s ZYN002 CBD Gel is the first and only synthetic CBD formulated as a patent-protected permeation-enhanced gel and is being studied in refractory epilepsy, Fragile X syndrome and osteoarthritis. ZYN002 is a clear, permeation-enhanced gel that is designed to provide consistent, controlled drug delivery transdermally with convenient once- or twice-daily dosing. Transdermal therapeutics are absorbed through the skin directly into the systemic circulation, avoiding first-pass liver metabolism and potentially enabling lower dosage levels of active pharmaceutical ingredients and rapid and reliable absorption with high bioavailability. 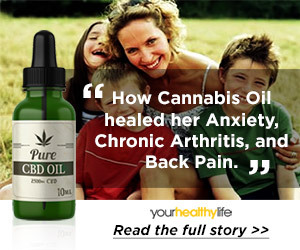 In addition, transdermal delivery avoids the gastrointestinal tract and potential stomach acid degradation of CBD into THC (associated with psychoactive effects), as demonstrated in a Zynerba in vitro study. Epilepsy is a disease characterized by an enduring predisposition to generate epileptic seizures (transient symptoms due to abnormal neuronal activity in the brain) and by the neurobiological, cognitive, psychological and social consequences of the condition. Complex partial seizures usually start in a small area of the temporal lobe or frontal lobe of the brain and quickly involve other areas of the brain that affect alertness and awareness. Approximately 2.2 million patients in the United States and 3.1 in Europe and Japan battle epilepsy. Complex partial seizures are the most common type of seizure, representing 35% of all epilepsies. Zynerba Pharmaceuticals (NASDAQ:ZYNE) is a specialty pharmaceutical company focused on developing and commercializing proprietary next-generation synthetic cannabinoid therapeutics formulated for transdermal delivery. Zynerba is developing therapeutic candidates based on proprietary transdermal technologies that, if successfully developed, may allow sustained, consistent and controlled delivery of therapeutic levels of two cannabinoids: cannabidiol (CBD), a non-psychoactive cannabinoid, and THC. Transdermal delivery has the potential to reduce adverse effects associated with oral dosing. ZYN002, the Company’s CBD Gel, is the first and only synthetic CBD formulated as a patent protected permeation-enhanced gel and is being studied in refractory epilepsy, Fragile X syndrome and osteoarthritis. Zynerba is also developing ZYN001, which utilizes a synthetically manufactured pro-drug of THC in a transdermal patch to deliver THC through the skin and into the bloodstream. ZYN001 will be studied in fibromyalgia and peripheral neuropathic pain. Learn more at www.zynerba.com and follow the Company on Twitter at @ZynerbaPharma. This press release contains forward-looking statements within the meaning of The Private Securities Litigation Reform Act of 1995. We may, in some cases, use terms such as “predicts,” “believes,” “potential,” “proposed,” “continue,” “estimates,” “anticipates,” “expects,” “plans,” “intends,” “may,” “could,” “might,” “will,” “should” or other words that convey uncertainty of future events or outcomes to identify these forward-looking statements. Such statements are subject to numerous important factors, risks and uncertainties that may cause actual events or results to differ materially from the Company’s current expectations. For example, there can be no guarantee that the Company will obtain approval for ZYN002 or ZYN001 from the U.S. Food and Drug Administration (“FDA”) or foreign regulatory authorities; even if ZYN002 or ZYN001 are approved, the Company may not be able to obtain the label claims that it is seeking from the FDA. Management’s expectations and, therefore, any forward-looking statements in this press release could also be affected by risks and uncertainties relating to a number of other factors, including the following: the success, cost and timing of the Company’s product development activities, studies and clinical trials; the success of competing products that are or become available; the Company’s ability to commercialize its product candidates; the size and growth potential of the markets for the Company’s product candidates, and the Company’s ability to service those markets; the Company’s ability to develop sales and marketing capabilities, whether alone or with potential future collaborators; the rate and degree of market acceptance of the Company’s product candidates; and the Company’s expectations regarding its ability to obtain and adequately maintain sufficient intellectual property protection for its product candidates. These and other risks are described under the heading “Risk Factors” in the registration statement on Form S-1 (commission file number 333-205355), which was declared effective by the Securities and Exchange Commission on August 4, 2015. Any forward-looking statements that the Company makes in this press release speak only as of the date of this press release. The Company assumes no obligation to update forward-looking statements whether as a result of new information, future events or otherwise, after the date of this press release.